The actress said she was “thrilled” with the role. Joanna Lumley has replaced Stephen Fry as host of the film Baftas – agreeing to the role “indecently quickly”. The actress, forever associated with her most famous role – outrageously boozy Patsy in Absolutely Fabulous – said she was “thrilled”. Taking to the stage as she was announced as Fry’s replacement, Lumley said: “Honestly how exciting is this? It is just so unbelievably thrilling. While her new role makes the charismatic star host of the film Baftas, she has no shortage of TV Baftas under her belt. And the actress will be taking over the job from long-term host Fry at the age of 71. But Lumley has never let age get in the way, previously saying she was “jumping for joy” to “hit my age”. In recent years, Lumley has become a campaigner, fighting for the rights of Gurkhas to settle in the UK and then proposing a London garden bridge – a plan which was later scrapped by the city’s mayor. On the big screen, Lumley’s credits include a Bond girl role in the 1969 film On Her Majesty’s Secret Service. Most recently, she shared a kiss with heartthrob Leonardo DiCaprio in the Martin Scorsese crime drama The Wolf Of Wall Street. 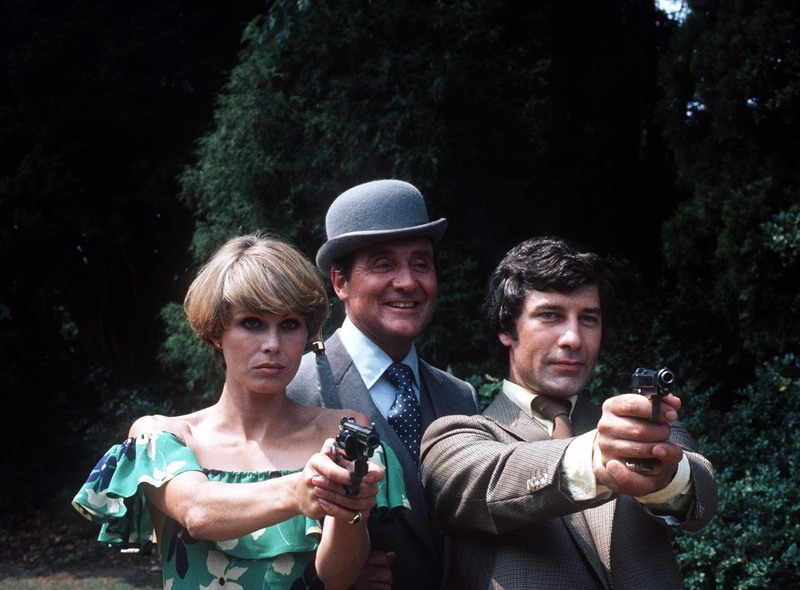 Lumley made a splash as Purdey in The New Avengers, the role which propelled the actress, who started out as a model and also made a name for herself on stage, to fame in 1976. She also made a lesser-known appearance in 1973 on Coronation Street as Ken Barlow’s posh girlfriend Elaine. She has made several TV documentaries, on everything from the Northern Lights to Black Eyed Peas frontman Will.i.am. Lumley has two TV Baftas under her belt for her performance in Ab Fab and last year received the Bafta Fellowship at the TV awards. And in 2000 she claimed the Special Award for her work in The New Avengers. Born 9,000 feet up in the Himalayas, in Kashmir – where her father was an officer in the Gurkha Rifles – Lumley was educated at a convent in Hastings, East Sussex. The glamorous actress was awarded an OBE in 1995.